Cornerstone announces completion of New Windsor facility upgrades on Wednesday, September 27, 2017. 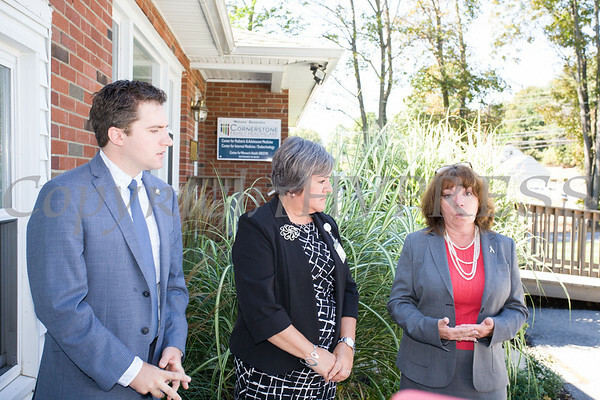 New York State Assemblyman James Skoufis, Cornerstone Family Healthcare President & CEO Linda Muller and President of the Orange County Chamber of Commerce Lynn Cione announce the completion of renovations and upgrades to Cornerstone's New Windsor facility on Wednesday, September 27, 2017. Hudson Valley Press/CHUCK STEWART, JR.